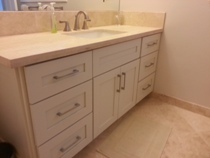 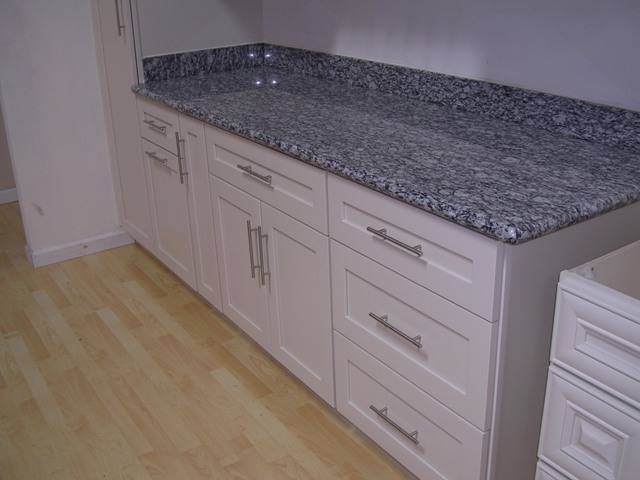 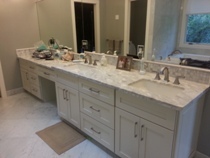 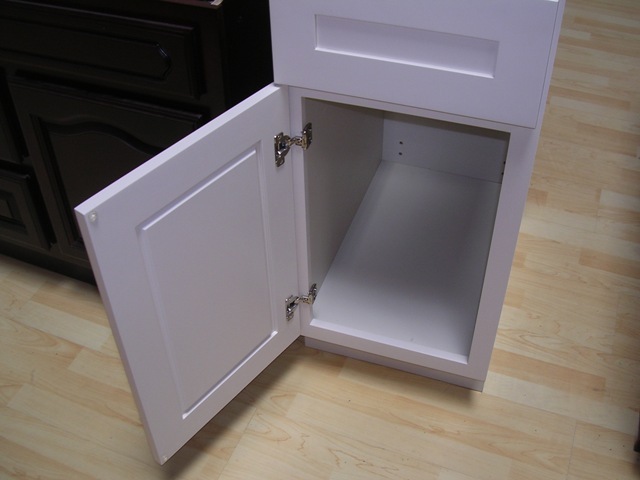 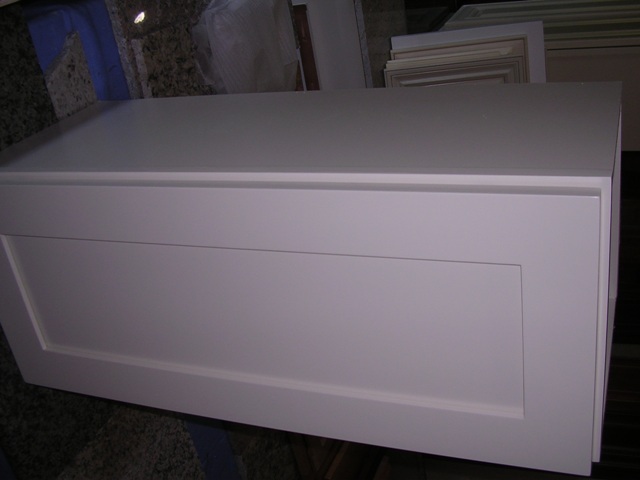 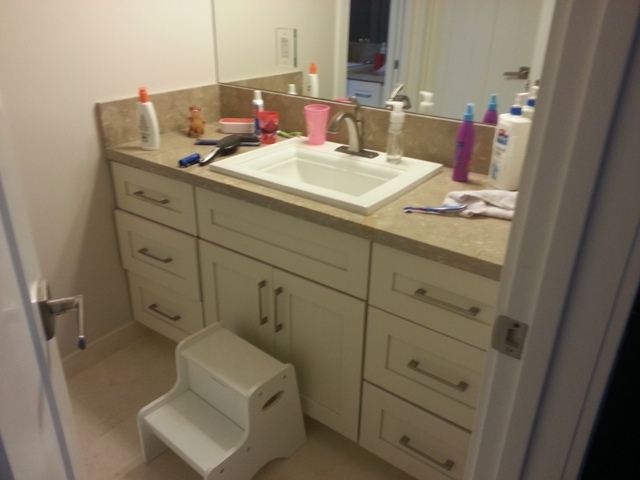 3A Soft White Shaker kitchen and vanity cabinets are made from Kiln Dried Alaskan Alder. 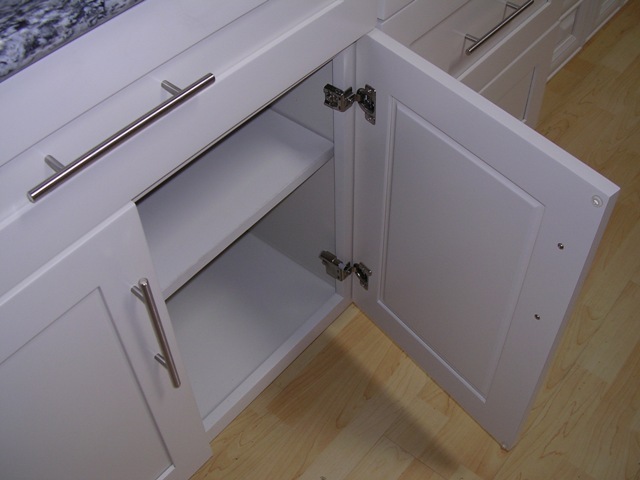 This cabinet line features full overlay doors, dovetail drawers with full extension undermount soft close ball bearing slides, six way adjustable concelled hinges with soft close for doors. 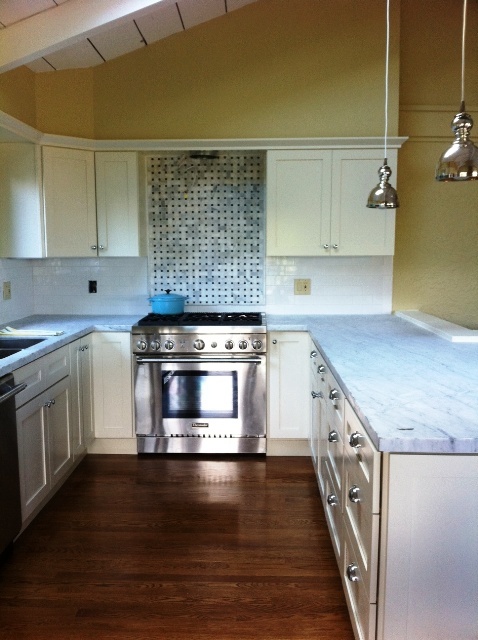 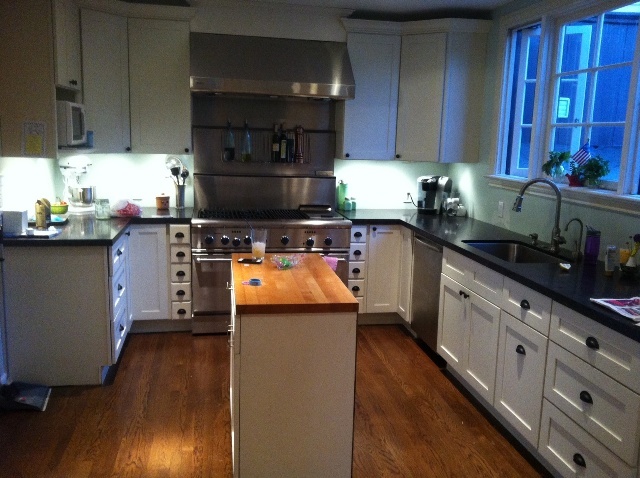 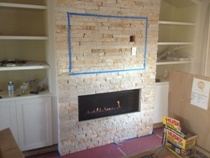 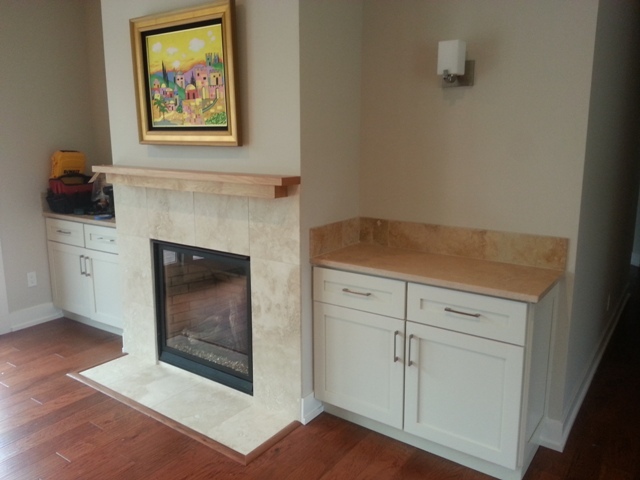 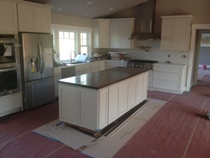 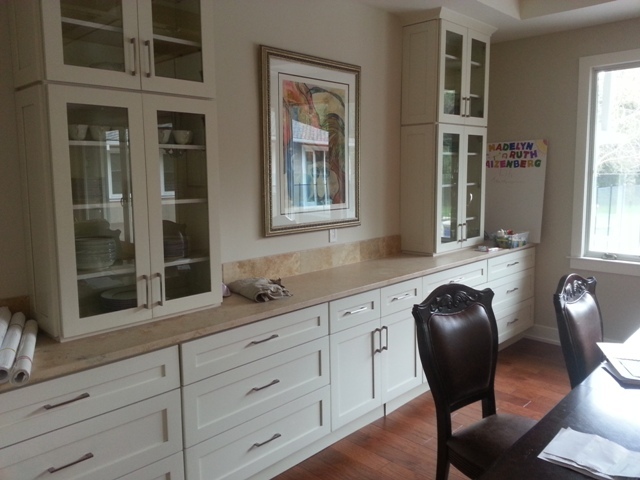 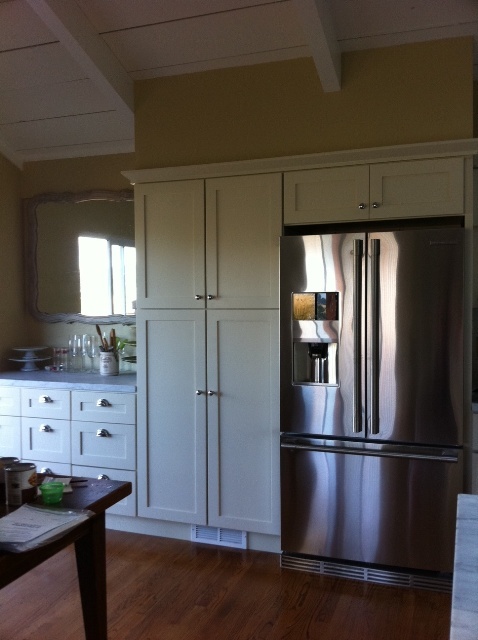 The cabinets face frame and doors are made from Alaskian kiln dried Alder hardwood. 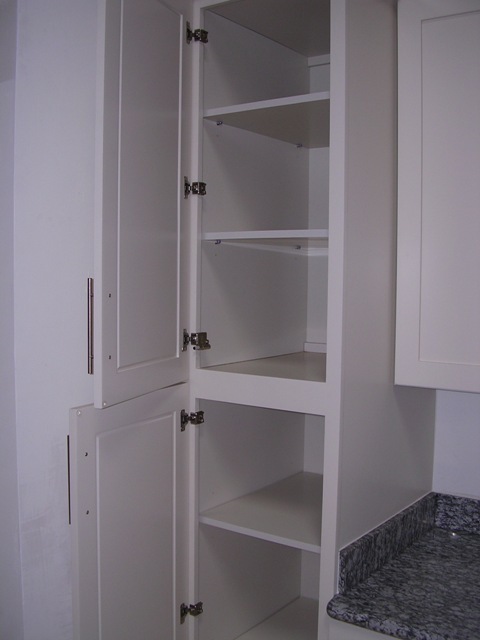 The rest of this fine cabinet are made from Carb2 certified cabinet plywood box frame featuring 3/4" thick full depth plywood shelving. 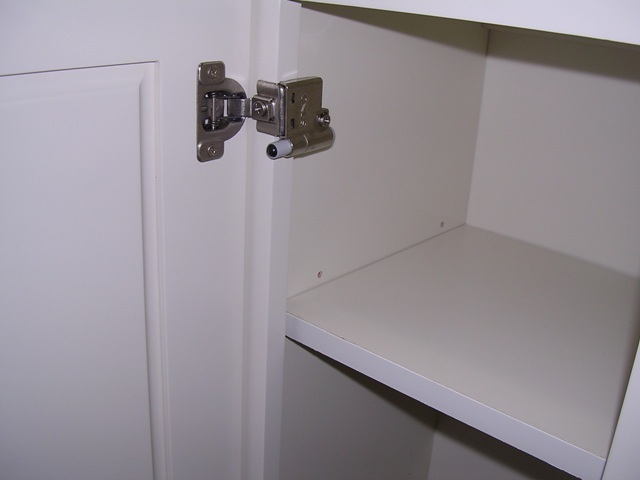 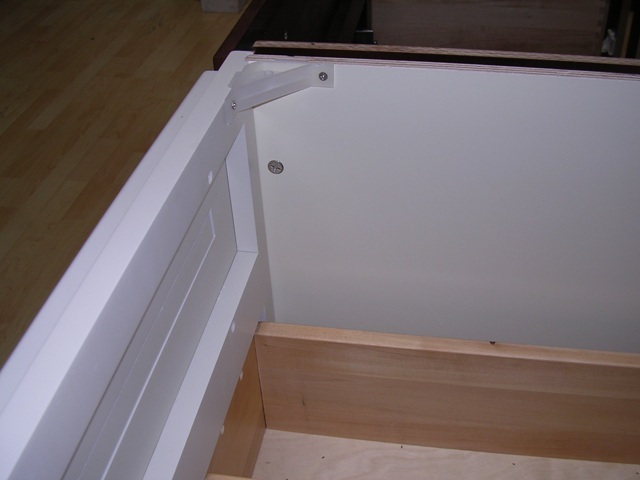 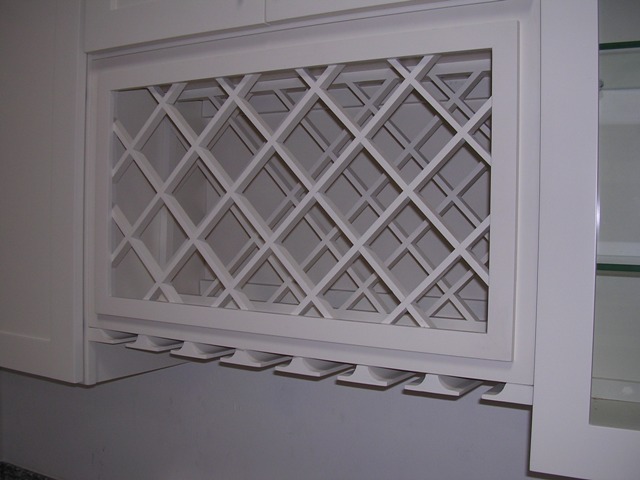 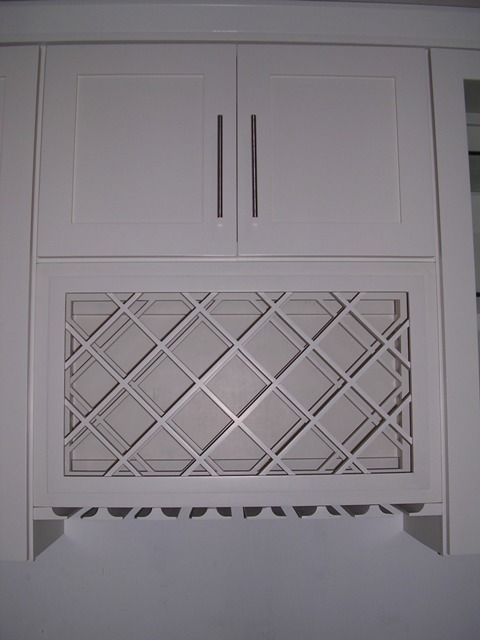 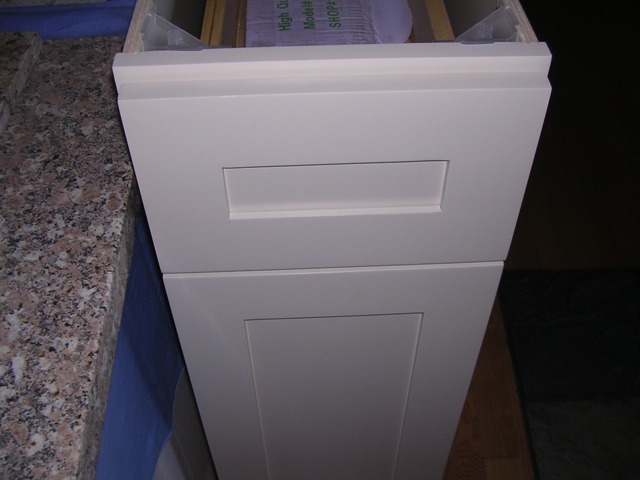 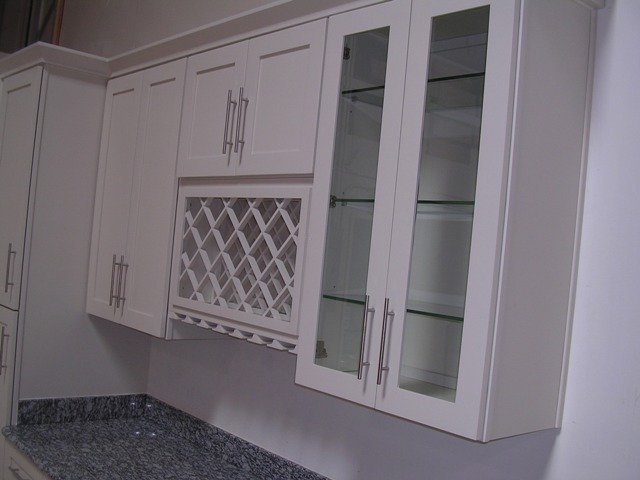 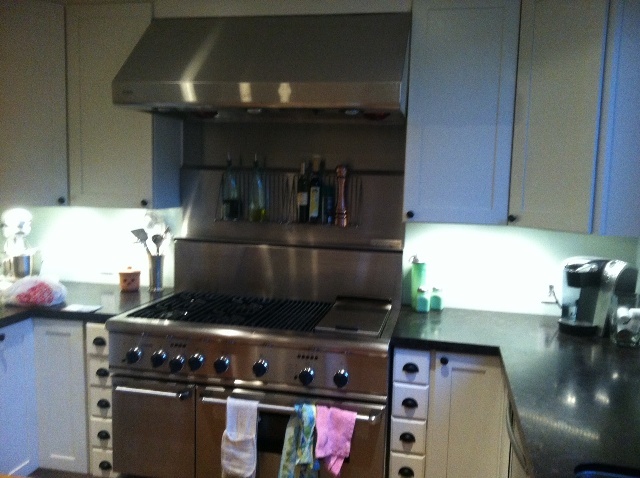 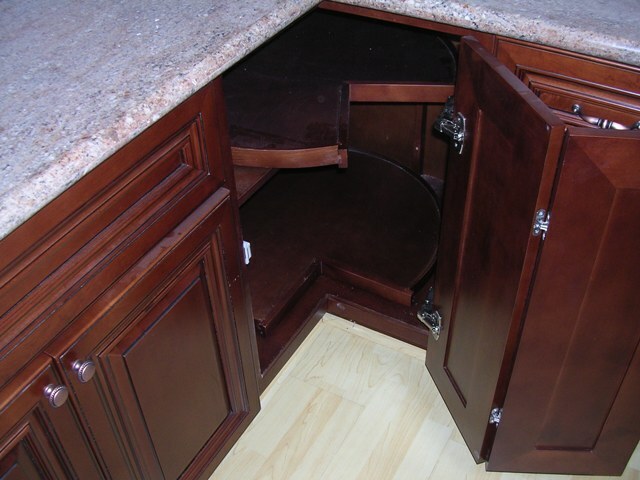 This is one of very few cabinet lines on the market today that features fully painted inside and exposed outsides. 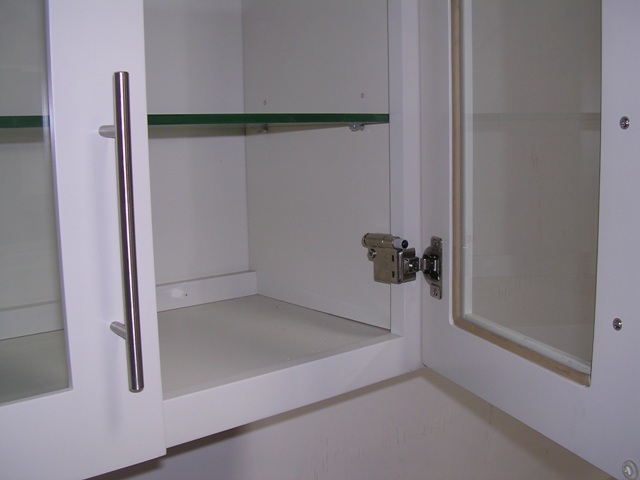 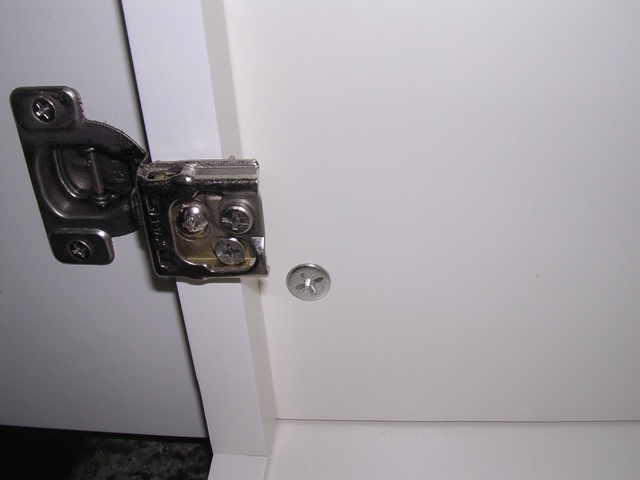 It is recommend that matching dummy doors for exposed sides be used for nicest results. 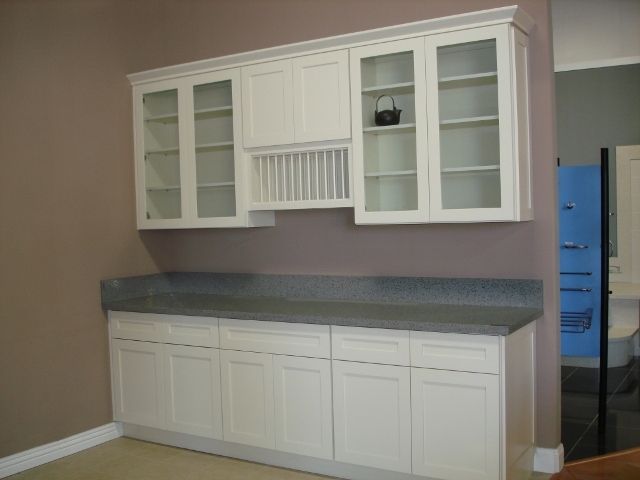 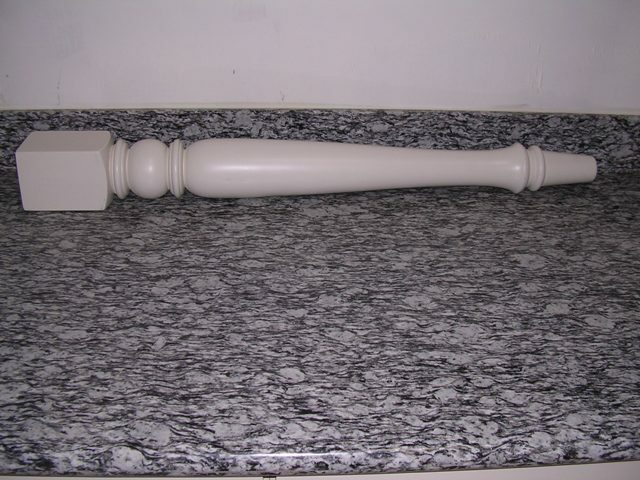 Wall cabients are offered in 30 inch and 40 inches tall. 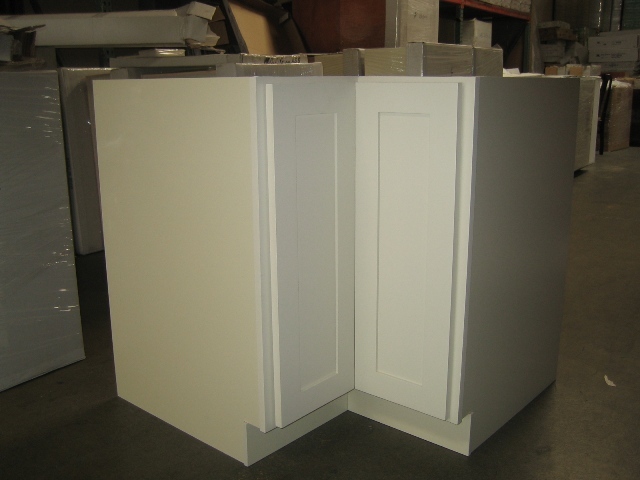 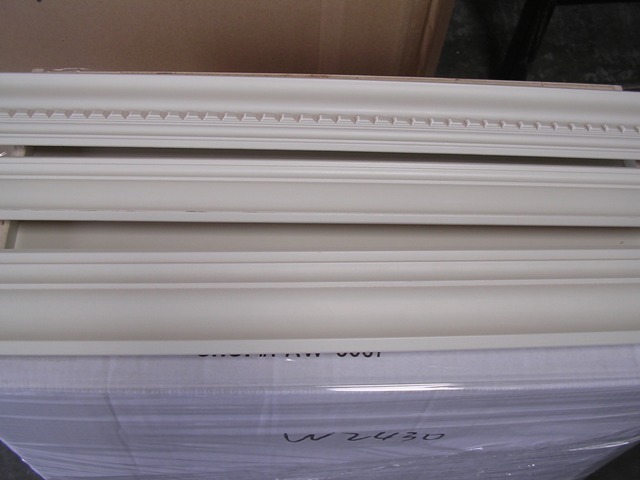 The cabinets are ready for assembly (RTA) and curbside delivery within the lower 48 states in about 3-10 days. 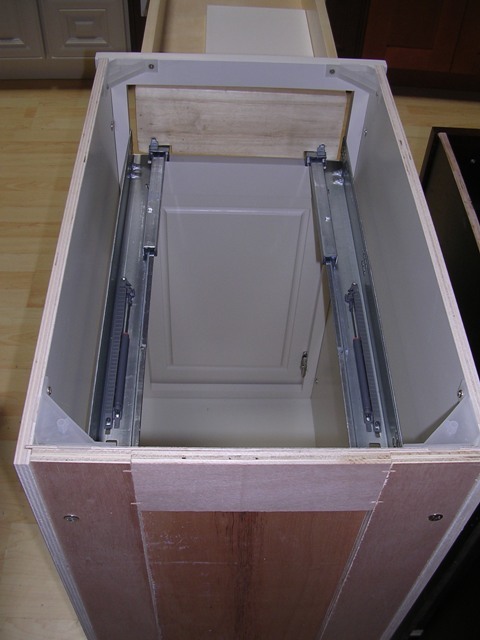 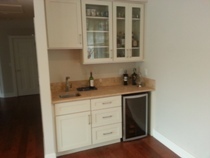 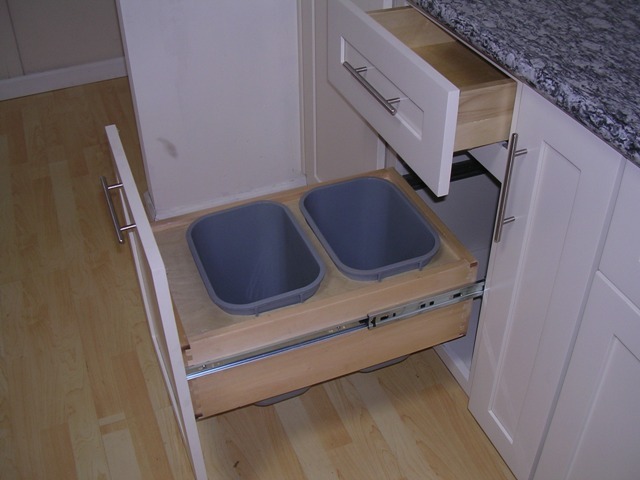 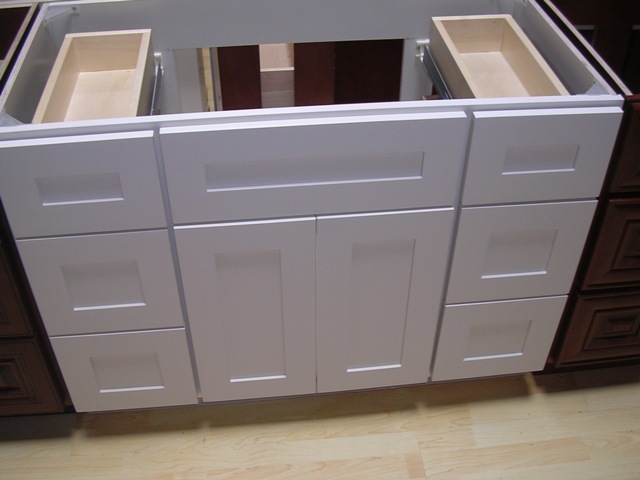 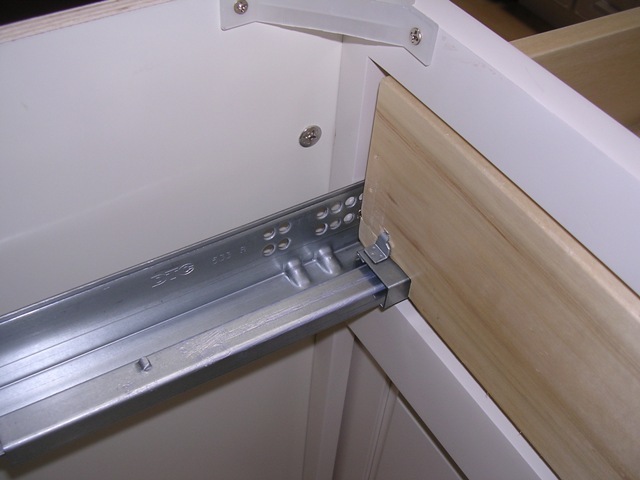 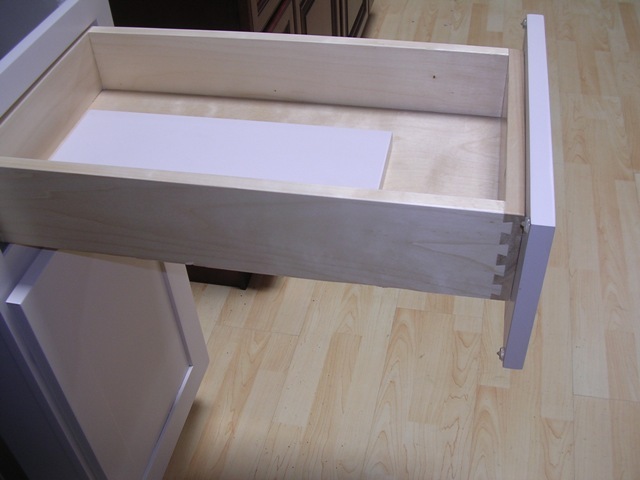 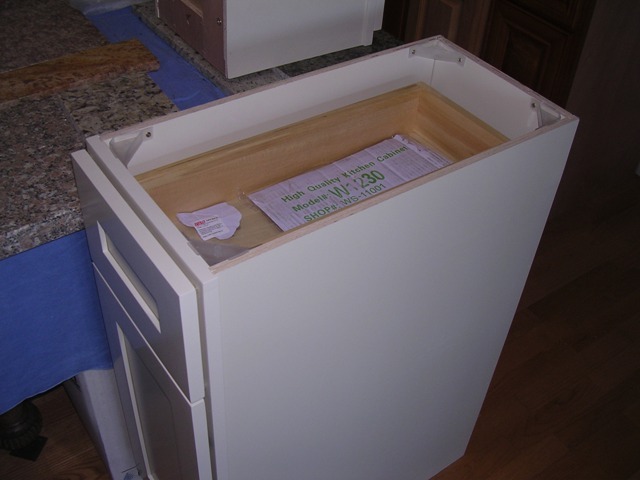 For those customer that live inside our local delivery area (the greater San Francisco Bayarea) may purchase from our cabinetbroker.net site which delivers fully assembled cabients curbside in about 3-5 days, see link at bottom of this page.